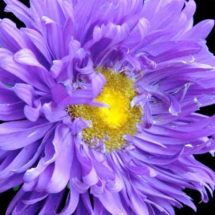 Also known as cornflower, this heirloom Bachelor’s Button (Centaurea cyan’s) mix provides a spectacular splash of color all summer long. Drought-tolerant and attractive to bees and other pollinators. Long stems are perfect for cuttings. 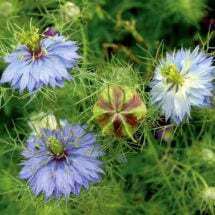 (Self-seeding hardy annual, 2-3′ tall) Learn How to Grow Bachelor Buttons here. Cornflowers are not fussy and will tolerate most growing conditions providing they receive plenty of sun. Easy to grow, just broadcast and gently rake or tamp to a depth of 1/8 inch deep — barely cover! Cuttings will last a long time in flower arrangements. For a spectacular effect, plant in combination with red poppies and snapdragons, or mix with day lilies in a border. Plants stand at 24-36 in. tall and have blooms of bright pink, red and yellow. 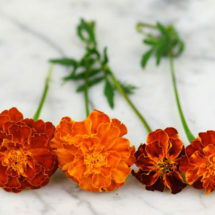 Large, 4-inch flowers really stand out in their many brilliant colors.